Lambo has appeared in 23 games for the Jaguars. He signed with the team on Oct. 17, 2017. 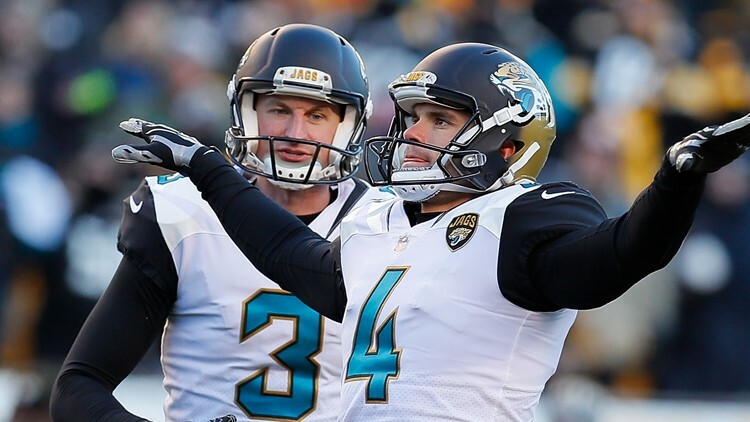 The Jacksonville Jaguars announced they have re-signed kicker Josh Lambo. Adam Schefter of ESPN says the contract is a four-year extension. Lambo, 28, has appeared in 23 games for the Jaguars. He signed with the team on Oct. 17, 2017 after being with the Chargers for two years. The then-San Diego Chargers signed him as an undrafted rookie on May 12, 2015. Lambo set the franchise record for consecutive made field goals at 24 from Nov. 19, 2017, to Nov. 11, 2018.